At Universal Studios, we had come to the end of shooting the TV series "McCloud", starring Dennis Weaver. It had enjoyed a great seven-year-run as part of the "NBC Mystery Movie Wheel". The very last one-and-a-half hour movie for that series was a Christmas episode I had written: Twas The Fight Before Christmas. It was the only time in the history of the TV series that Dennis Weaver had directed an episode. I spent a lot of time on the set to give Dennis some moral support, but he was doing an outstanding job. I wondered why he had not directed more episodes of the show in the past. He had a complete understanding of the tensions and nuances that had to be woven into this particular episode. Dennis Weaver's skill in fusing all of the elements of this episode together into a cohesive entity was amazing to behold. There was a small 'B' story woven into the plot: McCloud is called to a high rise hotel in downtown Manhattan where a young woman is standing on a narrow ledge, ready to jump. McCloud goes up to the suite leading to that ledge and finds cops already at the scene. McCloud climbs out onto the window ledge with the jumper, “Kate O'Hannah.” (I will reveal the name of the actress in just a minute!) The scene is very emotional for the heroine. McCloud tries to reason with her with his particular blend of homespun wisdom and cracker barrel philosophy in full force. Slowly, inexorably, McCloud moves closer to “Kate” and reaches out for her hand. Finally the girl takes it, then almost falls from the ledge twenty floors above the street. McCloud gets hold of her, holding her tightly. He slides back along the ledge with her until they are back at the open window. McCloud lifts the girl back into the hotel suite into the waiting arms of the cops. When the scene was done, the crew broke out with spontaneous applause. The actress hugged Dennis Weaver and thanked him for being so attuned to a young actress's first gig. It had been a nerve-wracking experience for her, but at the same time rewarding and thrilling. Dennis assured her that she had done a terrific job in the role and was looking forward to seeing the sequence cut together. I had an opportunity to meet this actress, as I was watching from the hotel suite with the crew out on the ledge where we had staged the rescue. (Obviously, in reality, the ledge was just a few feet off the ground on a sound stage!). I added my congratulations to the actress, telling her she had done a wonderful job. When the episode was all put together by our film editors, it was terrific, with the “jumper” scene as its climax. Sometime later, I got a phone call from this actress's agent. The actress was up for a really big role in a TV pilot, which the network had high hopes would become a TV series. The agent asked if she could send the "McCloud" scene to the producers of the Pilot. I had already seen the scene cut together, and it was impressive, so I had no objection to sending a clip to the other producers. But I had to clear that with Universal. 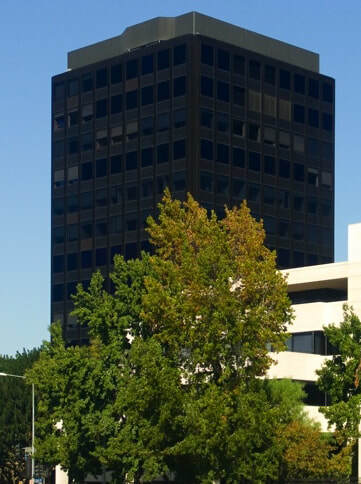 A day later word came down from the "Black Tower", as the Universal high rise building was euphemistically called, saying that no film could be released to anyone until the "McCloud" episode had aired on NBC. I made a call to the Black Tower, but the executive I talked to was adamant. I called this actress's agent back and told her the bad news. She was disappointed, but she understood. In these circumstances, she doubted her client would get the starring role she was up for. I thought about that for awhile, then I strolled over to the McCloud editing rooms with a bit of a rebellious swagger in my stride. I talked to my editor on that episode: "You remember that footage you had moved to one side with that scene on the ledge with the 'jumper’ "? He looked mildly surprised, but then he got it. He said, "Sure, know the scene, Guv." I suggested that he isolate the scene and send it over to the producers on this pilot (which was for another studio). I told him they needed it today... and that we never had this conversation. The editor said that was no problem. I told him it was for a good cause. Later that day I made sure that the piece of film had gone over to these producers. Sometime after that, when the McCloud episode was ready to air, I got a call from this actress's agent. She said the producers of the Pilot had looked at the cut scene from McCloud and thought it was great and that the actress was great. The actress got the leading role in the pilot, which went on to become one of the most successful TV series ever made. 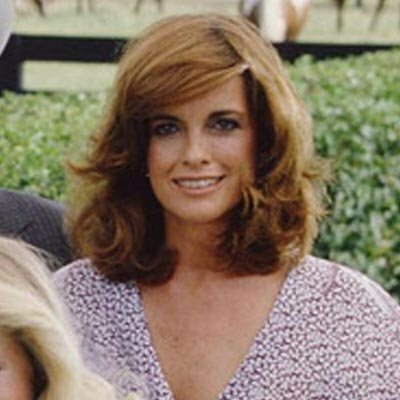 The actress's name was Linda Gray--and the TV series on which she became a major star was "Dallas." As "McCloud" would say -- there ya go.